How to make money using corporate bond funds? Corporate Bonds are also referred to as certificate of debt that is issued to the investors in exchange for their money they invest in the company. Corporate Bonds are financial tools using which businesses raise money for themselves by selling a certain number of shares of their business. In technical terms, it is also referred to as a certificate of debt that is issued to the investors in exchange for their money they invest in the company. The company usually sets a date which could be 5-10 years from the time you purchase for it to pay back your money you invest. This is, therefore, considered as one of the secure and reliable investment options after equity. Those investors who wish to invest in the market but can’t afford the risks involved in equity are the ideal customers for a corporate bond fund. 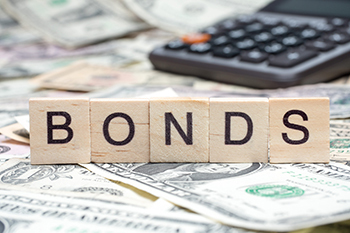 Corporate bonds can be divided into two types. The first type is those that invest in high-rated companies like banks and Public Sector Units (PSUs). The returns from these companies are moderately lucrative for the investors. The other one is that which invests in credit funds. These offer better returns but their risks associated with it are also on the higher side. Bonds can vary in the risks too. However, this variation would have a direct impact on how much returns you can earn from it. Investment-grade bonds are less risky and are also popular for the security of capital. The low-risk allows you to get relatively steady returns when compared to the equity market. High-yield bonds, on the other hand, are riskier in a way that it depends more on the company’s ability to pay back the investment in the given tenure. On an average, high-rated companies can offer you an interest of 8-10% on your bond funds. This is when the risk is kept at the minimal level. You can choose to invest in credit funds as well since they offer a rise in returns if you invest in low-rated but well-managed mutual funds. However, the risk of losing your investment also significantly increases. Corporate bond funds are great products when it comes to low-risk and good returns type of investment. You can earn a regular income which is usually higher than that you would get as interest on your fixed deposit. Companies that have a threat of going bust also usually offer a higher interest rate to get investors. Be wary of these companies and research well on the corporate bond fund before you buy one. Ensure that you choose one that meets all your needs too. So what are you waiting for? Invest and make money using corporate bond fund today.